With its large restaurant, lounge bar area and beautiful well maintained garden The Liston Hotel in Boscombe Spa, Bounemouth offers the perfect location for many types of private functions from weddings to conferences and birthday parties. 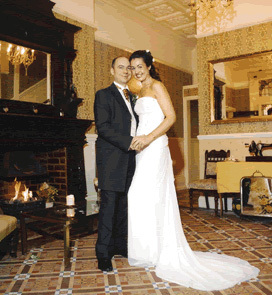 We offer an individual tailor made experience for your special day and will guide you in all aspects of planning your wedding reception we can offer a wedding breakfast prepared to the exacting standards of our a la carte menu giving you one of the best quality function meal to be found in the area. Special room rates offered to wedding guests. Complimentary accommodation in one of our luxury rooms for the bride and groom. We can also meet many different function requirements especially as a conference venue. We are also an ideal size for birthday celebrations, business lunches, club AGMs, club lunches and dinners, dinner dances and corporate dining events. Call Diane on 01202 394588 who will be happy to arrange a meeting to further discuss your requirements.